Owing to its historical significance, Gandhidham is an important city in the Kutch region. Once upon a time, Gandhidham was the refugee centre for homeless people coming from Sindh after 1947 partition. Now, Gandhidham is a fast growing town with several manufacturing units in and around. The town of Gandhidham has a unique cosmopolitan population since the residents belong to different parts of India. Kandla Port, a major port on the west coast, is also a part of the Gandhidham region. Besides its commercial importance, the region is a famous pilgrimage centre for the people of Hindus and Jain community. 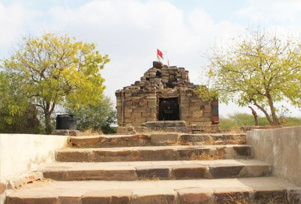 Poorneshwar Temple: Sacred to Lord Shiva, Poorneshwar is an ancient temple known for its unique architecture. Historians say that the temple was raised between 9th and 10th century. Shiva Temple: Beautiful temple of Lord Shiva constructed in 10th century. By Airways: The nearest airport to Gandhidham is the Kandla International Airport, which is 6 km away from the main city,.